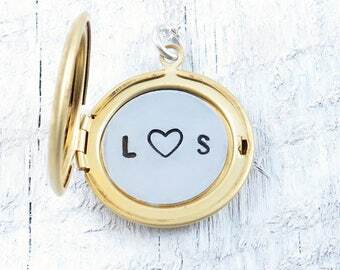 Please enter your letter choice for your hand stamped initial here. 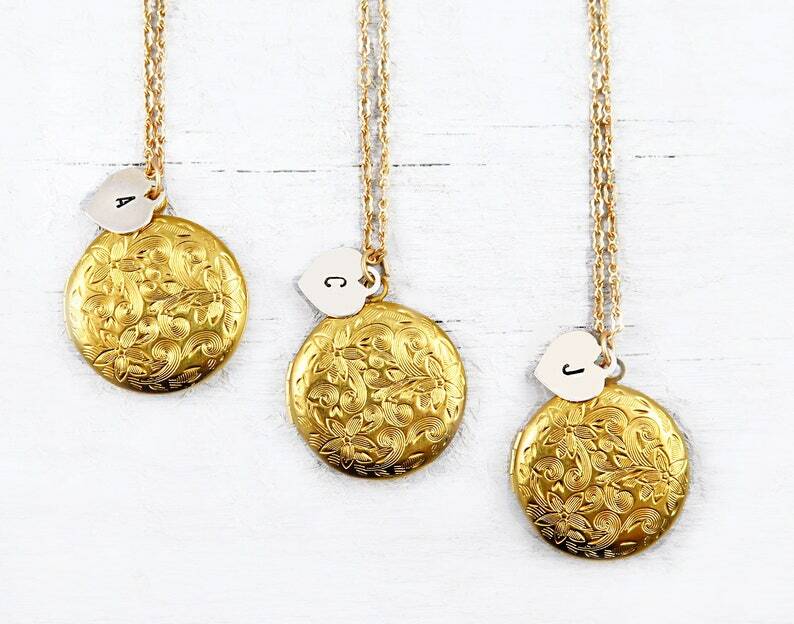 If you choose more than one, please enter as many as you ordered. 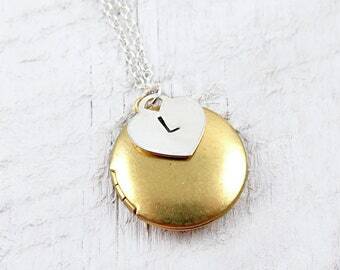 One letter per necklace please. 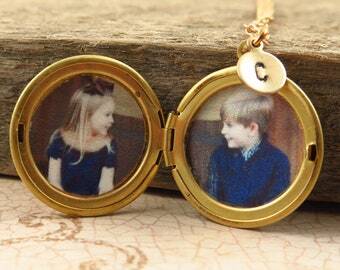 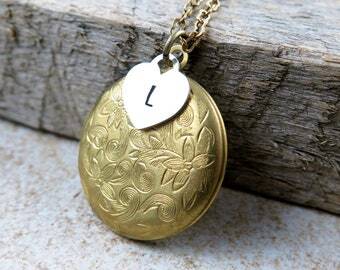 Gold brass floral round locket necklace on an antiqued gold peanut chain. 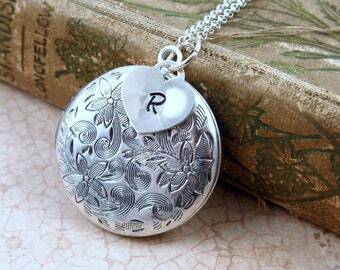 You may also choose a silver locket on a silver cable chain. 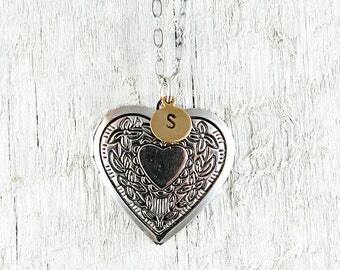 Each comes with a sterling silver tiffany style heart with a hand stamped initial of your choice! 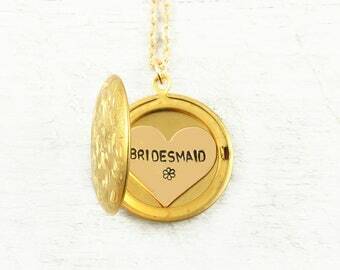 The perfect personalized gift for bridesmaids, maid of honor, flower girl, anniversary gift, wedding gift, birthday gift, new mom gift and more!